Sometimes, the videos you shot with your camera or phone may contain some unnecessary elements such as noise or bad light or any other problems. So if you want to cut out all the unwanted parts, what should you do? The answer is to clip video into pieces and remove the parts you don’t like. With HD Video Converter Factory Pro, you can easily get to know how to clip the video in the most efficient way. What you need to do is just 3 simple steps. This video clipping software lets you trim and clip video in any format like AVI, MKV, MP4, MOV, FLV. Moreover, clipping MP3 audio file is also available. 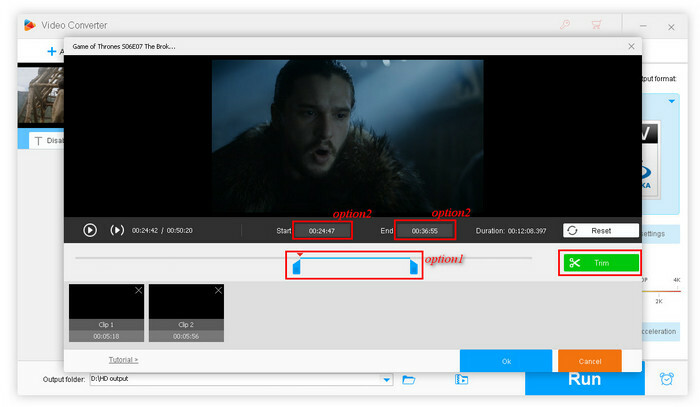 The following guide shows how to clip video fast and effortlessly. Download this video clipping software, install the program on your PC and open it. With an intuitive interface, this tool is very easy for you to navigate. 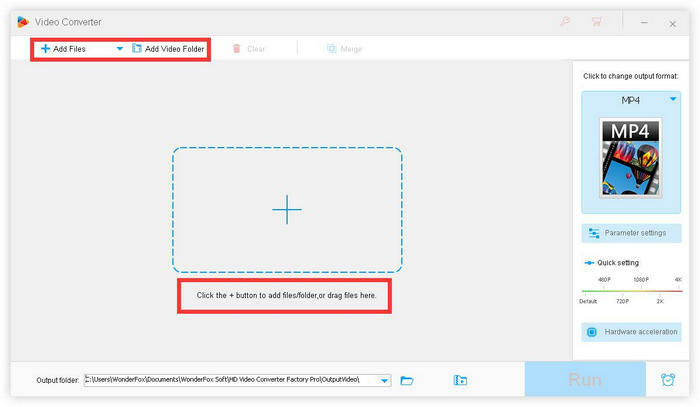 Click “Add Files” to input the videos you want to clip. Note: You can also directly download your favorite videos from YouTube, Vimeo or other pop video-sharing websites. Drag the controlling bar bellow the preview window. Set the starting time and the ending time as you want. 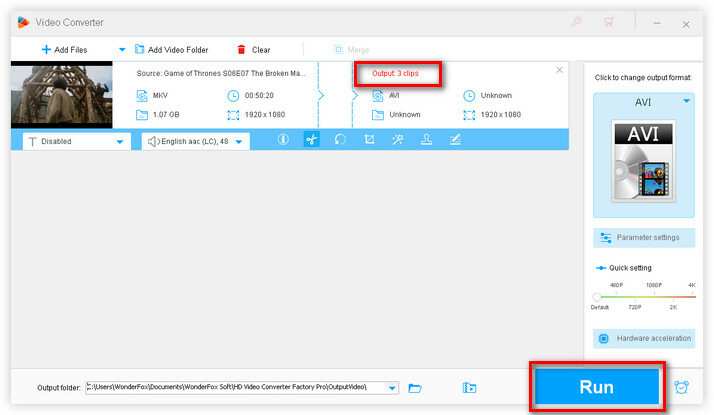 Tip: HD Video Converter here enables you to control the video by frame rate. Just click “Previous Frame Rate” and “Next Frame Rate”. It enables you preserve the part in a more accurate way, Furthermore, the cutted time will be showed on the clip interface. Now you return to the main interface. Just click the “Run” button to start to clip the video. Note: Actually, if you set some changes to clip a video, you can clearly see the “Clip” button below the video box is shadowed. Thus, you can easily know which videos have not been clipped yet.